The moon is about 239,000 miles away. Neptune is about 2,700,000,000 miles away. And Alpha Centauri, the closest star other than our sun, is about 25,000,000,000,000 miles away. The problem is, at a certain point, large numbers like that tend to lose their meaning. Understanding the vastness of space requires a different approach. Today, students leanred how to calculate travel-time, the amount of time it would take to reach each of these destinations. First, they had to choose their spacecraft. 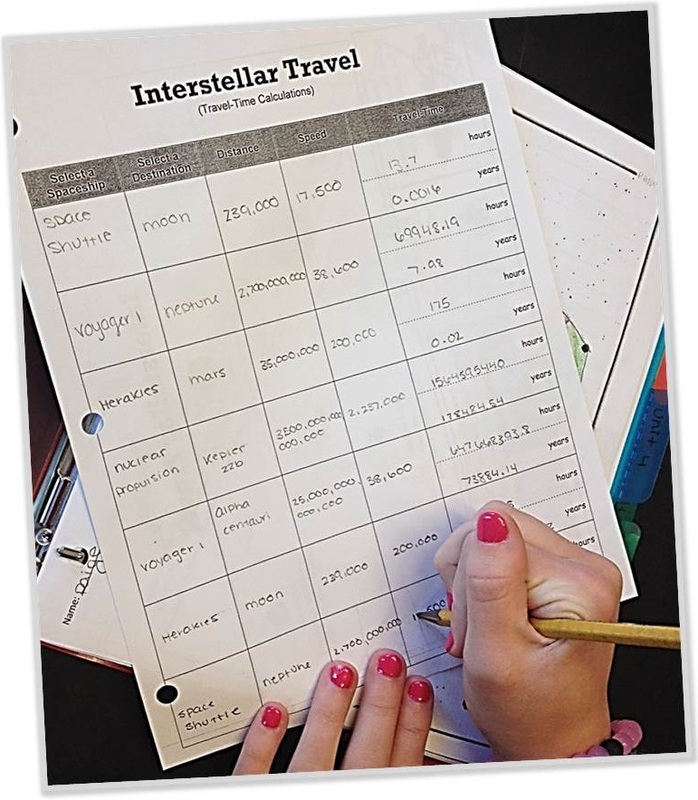 By dividing distance by speed, students were able to estimate the amount of time it would take to reach each destination. For example, aboard the space shuttle, it would take only 13.7 hours to reach the moon, but it would take 17.6 years to reach Neptune! And even aboard Herakles, a proposed ion-beam spaceship, it would take almost 2 million years to reach the closest Earth-like planet (Kepler 22b). So the next time you are tempted to litter, remember, the most important Earth-like planet is right beneath your feet.